Time: 8 hours Package Cost: $700.00 includes ammo, see below! The Fundamentals of CFS is a one day course that will expose the student to all the core principles and fundamentals of the Combat Focus® Shooting Program. See the description of the Combat Focus Shooting course below for more information. Students will fire approximately 800 rounds. 800 rounds of 9mm ammo, if you have more expensive caliber you will have to pay the difference in ammo cost. Combat Focus Shooting Challenge Coin, CFS Logo and Balance of Speed and Precision target. Combat Focus Shooting Training Book “Evolution 2010” Combat Focus(tm) Shooting Evolution 2010 is the most up to date version of the most progressive and efficient defensive firearms training program ever codified. This book represents the cutting edge of understanding how to quickly gain life saving firearms skills regardless of your experience, background or the context of your firearms use. The Training Log, Hardback Book; The Training Log Book and Collected Essays on Training is a unique hardcover book designed to provide an organized way for you to document your training endeavors. The Log Book pages space for over 50 courses with designated areas for information such as date, location, topics covered, cost, equipment used, instructor comments and classmate contact information as well as space for your own notes, diagrams or even a class photo. Combat Focus Shooting Training DVD, “Evolution 2010” This long awaited DVD is an updated presentation of the Evolution of the Combat Focus Shooting Program. When it was first released on DVD in 2006, Rob Pincus’ Combat Focus Shooting was the most progressive and intuitive approach to defensive shooting available. In 2010, Rob discontinued his original CFS Book and replaced it with Combat Focus Shooting Evolution: 2010. This new book went into deeper detail and covered more ground than the first work and expanded the drills and skills developed under the program. 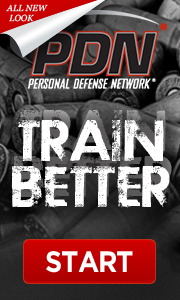 Now, Rob Pincus and several certified Combat Focus Shooting Instructors from around the world share an updated version o of the program, the fundamentals and the drills that continue to make Combat Focus Shooting the most progressive defensive firearms program on the planet. Combat Focus Shooting is an intuitive shooting program designed to help the student become a more efficient shooter in the context of a Dynamic Critical Incident. This is not a marksmanship course, nor is it designed to accentuate skills that only work well on a square range in front of paper targets.Unlike many traditional programs, CFS does not take a purely mechanical approach to shooting training in isolation from the context in which the skill must be used. CFS is not simply “point shooting,” it is a training methodology that leads to more efficient defensive shooting skill. Combat Focus Shooting is being taught by certified instructors around the United States and Europe. CFS has been successfully integrated into various military and law enforcement training programs and is the most efficient way for anyone interested defensive firearms skills to develop their abilities. What is the Warrior Expert Theory? Through frequent and realistic training once can learn to use the power of recognition to respond more efficiently in the context of a dynamic critical incident.